File photo of pills laced with fentanyl. Fentanyl is so toxic and lethal that the Department of Homeland Security is considering classifying it as a weapon of mass destruction. The powerful opioid was responsible for 30,000 overdose deaths in 2017, according to the National Institute on Drug Abuse. The new designation would authorize customs officials and the FBI to inspect more shipments and develop detection tools, The Times reports. Prosecutors also would have more leverage in their fight against the opioid crisis. 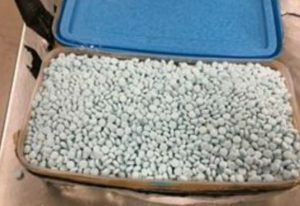 Earlier this year, customs officials in Nogales found 254 pounds of fentanyl hidden among cucumbers inside an 18-wheeler. 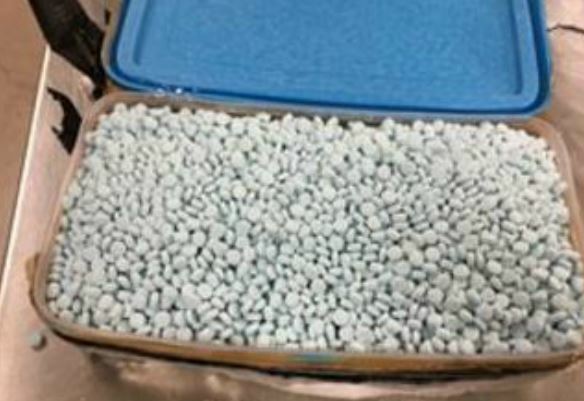 It was the largest fentanyl seizure ever recorded at a port of entry. Posted: April 23rd, 2019 under News Story. 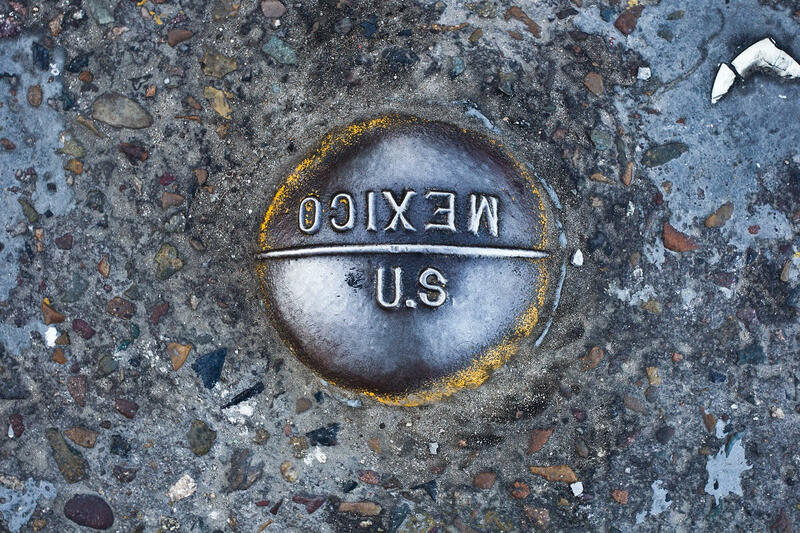 Border marker, via Border Patrol. A 7-year-old Guatemalan girl died while in Border Patrol custody after she and her father were taken into custody for crossing the U.S.-Mexico border, federal authorities confirmed Thursday. The girl died of dehydration and shock a day after she was arrested by Borer Patrol agents near Lordsburg, N.M., The Washington Post reports. The CBP said the girl began having seizures after being in custody for more than eight hours and had a body temperature of 105.7 degrees. She died at a hospital in El Paso. CBP typically provides food and water to migrants, but it wasn’t clear if that happened in this case. “Our sincerest condolences go out to the family of the child,” CBP spokesman Andrew Meehan said in a statement to The Washington Post. 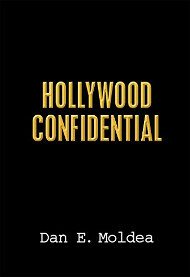 Posted: December 14th, 2018 under News Story. President Trump heightened his rhetoric over the caravan of Central American migrants wending their way to the U.S., threatening to permanently shut down the southern border. The harsh message comes one day after Border Patrol agents used tear gas on migrants who broke through Mexico’s police lines at the Tijuana border and tried to enter the U.S. Authorities temporarily closed the border crossing between Tijuana, Mexico, and San Diego, one of the busiest in the nation. Posted: November 26th, 2018 under News Story. The Interior Department is dispatching officers to help secure the border with Mexico. 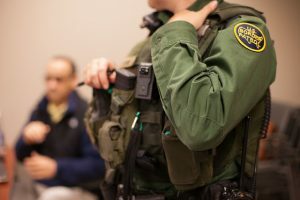 Officers from the U.S. Park Police Planning Unit (USPP) and the National Park Service will help Homeland Security along the southwest border beginning May 13 as part of “Secretary [Ryan] Zinke’s offer of assistance to the Department of Homeland Security,” according to an internal email obtained by The Hill. The assignment is a dramatic departure from what USPP officers are traditionally tasked with doing – policing NPS property in Washington D.C., New York and San Francisco. 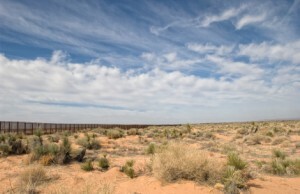 According to the email, officers will spend about three weeks stationed at two national parks and monument sites along the border – Amsted National Recreation Area in Texas and the Organ Pipe Cactus National Monument in Arizona. Posted: May 8th, 2018 under News Story. Prosecutors are mulling whether they should pursue a retrial in the case of a Border Patrol agent charged with manslaughter for fatally shooting a teenager after an Arizona jury deadlocked on the lesser accounts. The jury found Agent Lonnie Swartz not guilty of second-degree murder in the death of 16-year-old Antonio Elena Rodriguez, who was with a group throwing rocks at agents from the Nogales, Mexico, side of the border. 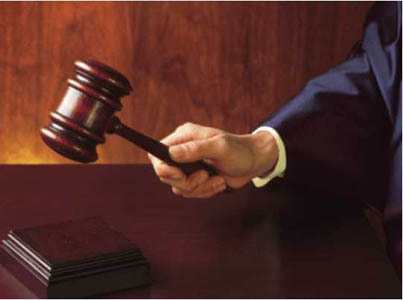 U.S. District Judge Raner Collins declared a mistrial after the jury deadlocked on a lesser charge of manslaughter, NPR reports. In October 2012, Swartz responded to the rocks by firing 16 shots, striking Rodriguez eight times in the back and twice in the head. Swartz’s attorneys said the agent was protecting himself and fellow agents when he opened fire. Prosectors said he pulled the trigger because he was frustrated with rock throwers. Posted: April 24th, 2018 under News Story. Distant border fence in the desert near El Paso and its Mexican neighbor Juarez. President Trump boldly signed a proclamation Wednesday directing National Guard troops to the southwest border in what he falsely called an unprecedented move to crackdown on undocumented immigrants. 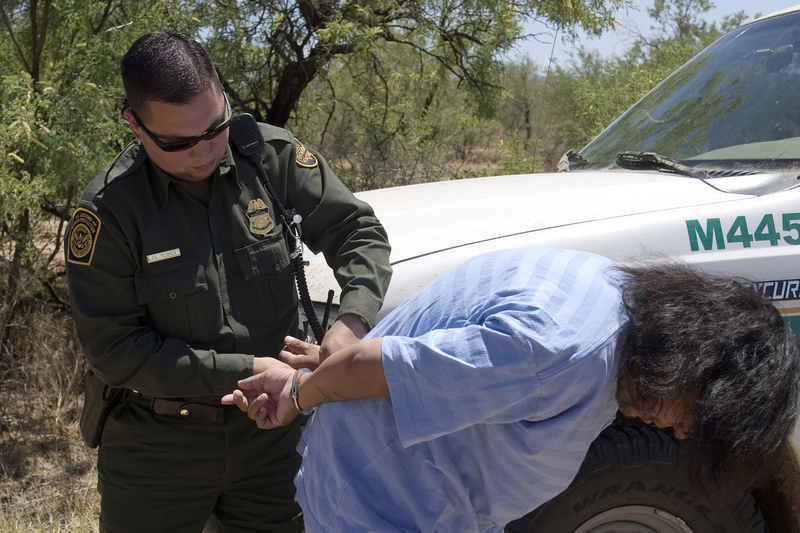 Under the previous presidents’ plans, the guard members built infrastructure and conducted surveillance but left the arrests and enforcement up to Border Patrol agents who were trained in border enforcements. Trumps plans, which lacks details about the operation, would not allow troops to come into physical contact with immigrants, three administration officials told NBC News. Details like the number of troops to be involved and how long they will stay there remain unknown and are expected to be hammered out in the coming days, officials said. Posted: April 5th, 2018 under News Story. President Trump’s pledge to prevent undocumented immigrants from entering the U.S. has hit a major snag as arrests surge along the Southwest border. 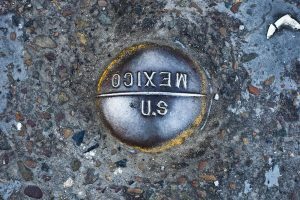 According to a new federal government report, people being arrested or denied entry along the Mexican border has increased for the seventh straight month. Those cases reached 39,006 in November, marking a 12% increase over October. The cases have more than doubled since April. While it’s unclear how many undocumented immigrants are slipping into the country undetected, the number of arrests and entry denials are a good indicator of the trends in people trying to enter the U.S. illegally. Trump has trumpeted the decline in arrests during the early months of his presidency. What’s unclear is why the numbers are rising. Posted: December 18th, 2017 under News Story.